One common concern is how safe it is to ship gold, silver, and coins through the postal service. In fact, the USPS has a remarkably good record of almost never losing one of our customer's packages. Other major bullion dealers have reported a similar experience. Unfortunately, these things do, on rare occasions, happen. 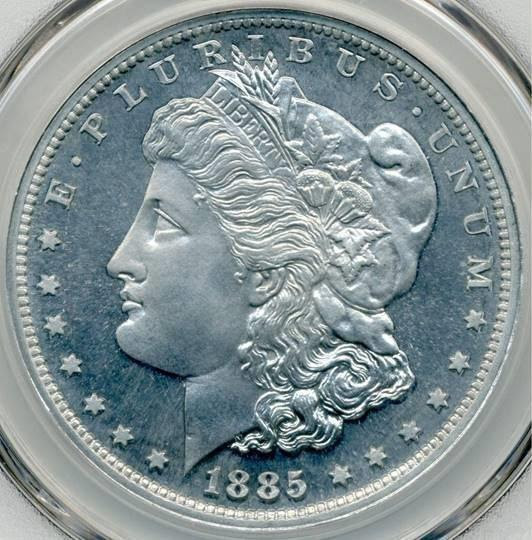 According to a bulletin posted by the Numismatic Crime Information Center (NCIC), an extremely rare 1885 Morgan dollar pattern was recently lost (or stolen) in transit. The NCIC performs many important services for the coin collecting community, including regularly updating the public on instances of theft or lost coins. For a sense of how rare this Morgan dollar pattern—struck in aluminum—really was, consider that there are only six known to exist. Moreover, this Morgan earned a grade of Proof-68 Cameo, making it the "top of the pop," or the finest known of its kind. Even for a pattern, which is technically not a true coin and is instead a trial piece that surely never circulated, this is an incredible grade for a coin that's about 125 years old. It also sports an experimental lettered edge not seen on regular Morgan silver dollars. The coin has reportedly gone missing, with no apparent leads yet toward its hopeful recovery. There were a few other instances of packages going missing over the past month involving numismatic products. CoinWeek published the NCIC bulletins about the cases. A number of valuable modern bullion coins were lost in Pennsylvania, including an American Gold Buffalo dated 2013 and a complete set of different sizes of 2002 American Gold Eagles. All of the coins were certified with high mint-state grades by PCGS. In another incident, a trio of numismatic gold coins from the earliest years of our republic were clearly stolen from a package while in transit through Chicago. The pilfered items were two $5 half eagles (dated 1805 and 1807) as well as an overdate variety of a 1798 $10 eagle coin. Each were approximately in About Uncirculated (AU) condition. The opinions and forecasts herein are provided solely for informational purposes, and should be used or construed as an offer, solicitation, or recommendation to buy or sell any product.